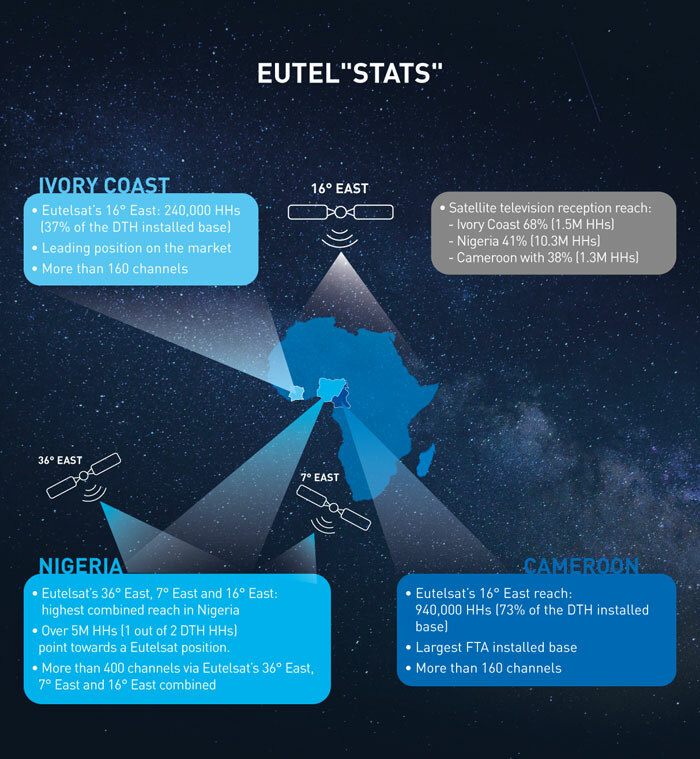 Cape Town, Paris, 13 November 2018 – A far-reaching in-depth study, led by Nielsen, of television reception throughout Nigeria, Cameroon and Ivory Coast, has positioned Eutelsat as satellite market leader within these countries. 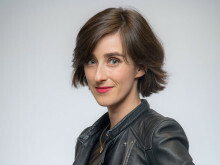 The face-to-face interviews were conducted with 3,000 households in Nigeria, 2,000 in Cameroun and 2,000 in Ivory Coast, representative of the population of the geographical area surveyed. “Eutelsat is pleased to have established a strong presence in the regional audiovisual landscape, providing millions of households with access to a wide range of local and international channels. 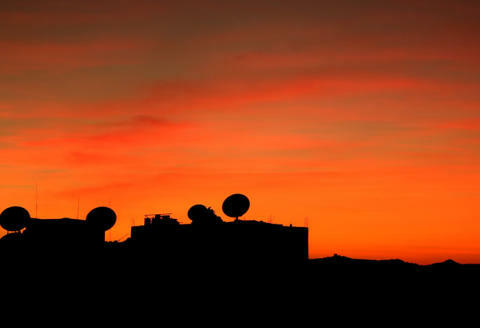 This study confirms that Eutelsat's 16° East position is the leading position for free-to-air broadcasting in Cameroon and Ivory Coast and that Eutelsat's three positions, 36° East, 7° East and 16° East, serve the largest combined audience in the Nigerian market. It is a testament to our long-standing partnership with many of Africa's leading TV channels and bouquets. We look forward to strengthening these partnerships to develop our services as these dynamic markets continue to evolve," said Nicolas Baravalle, Vice President for Sub-Saharan Africa at Eutelsat. According to study findings, the need for HD is rising in Sub-Saharan Africa with a growing demand for HD content specifically in Pay-TV.This is coupled with a rise in the affordability of equipment such as televisions and set-top-boxes. The number of HDTV equipped households is already sizeable: in Nigeria 9.5 million (38%) households were identified to be HDTV compatible homes, 0.9 million (18%) in Cameroon and 0.5 million (22%) in Ivory Coast.